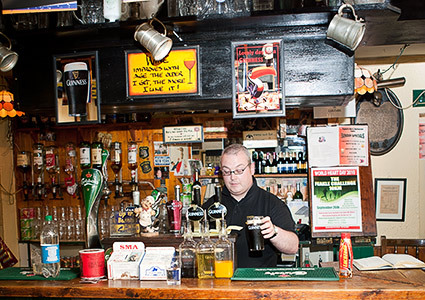 There is always a wonderful atmosphere in “Pepper's” with traditional sessions every Wednesday night throughout the year, made famous by the late “PJ Hayes and Francie Donnellan”. PJ is fondly remembered with a special plaque erected in his memory. During the summer months you will find musical sessions on Sunday evenings (May – September). All musicians are welcome to come along and join in with the music and song. Many of the world's top traditional musicians have performed here including: Martin Hayes, Liam O'Flynn, Matt Molloy, Altan, Sharon Shannon, Begely & Cooney, and many more. 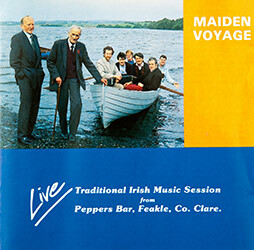 In 1991 a session at Peppers with musicians including Tommy Peoples, Kevin Crawford, Andrew McNamara and Joe Bane was recorded and made into a CD and cassette (Maiden Voyage - Celtic Music CD062). 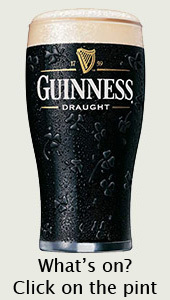 Traditional music sessions from Peppers have featured on both National and International TV Networks such as Geantraī on TG4, The Tulla Céilí Band also recorded one of their CD's here. Below: Martin Hayes playing in a session at Peppers. In recent years Pepper's has expanded to offer a very extensive food menu seven days a week, offering fresh local produce direct from the land. Pepper's of Feakle has received the “Dining Pub of the Year” award and offers a wide and varied menu throughout the day. With its traditional Liscannor flag floor, beamed ceiling and open hearth fire, “Pepper's” is a must for those seeking the 'real thing'.